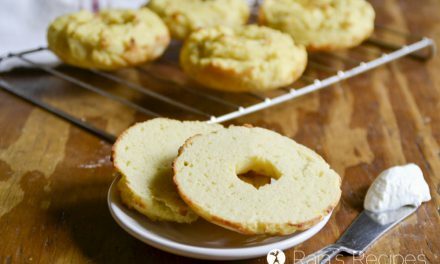 Do you love grain-free food, but don’t want the hassle of baking with coconut flour? I feel ya! As an on-again, off-again grain-free-er, I know the hardships of baking with coconut flour. It can be a tricky beast! Add in too much fat and it’s an oily mess, add in one too many eggs and it won’t taste like anything but eggs, add in just a tad too much flour and it’s a dry crumble. 🙁 And how on earth do you get a good rise out of your coconut flour baked goods? It can be a pain to troubleshoot. But if you get the right ratio of flour to liquid to eggs to oil the results can be quite delicious. These brownie beauties have the perfect ratio of everything to make the end result a deliciously soft, fluffy, but slightly fudgy perfection! Proof being, my “I don’t really like brownies” hubby ate half the pan and he said they were perfect (guess who ate the other half? I know, those five kids… Kidding, it was me.)! Now, I’m really not that picky when it comes to brownies. 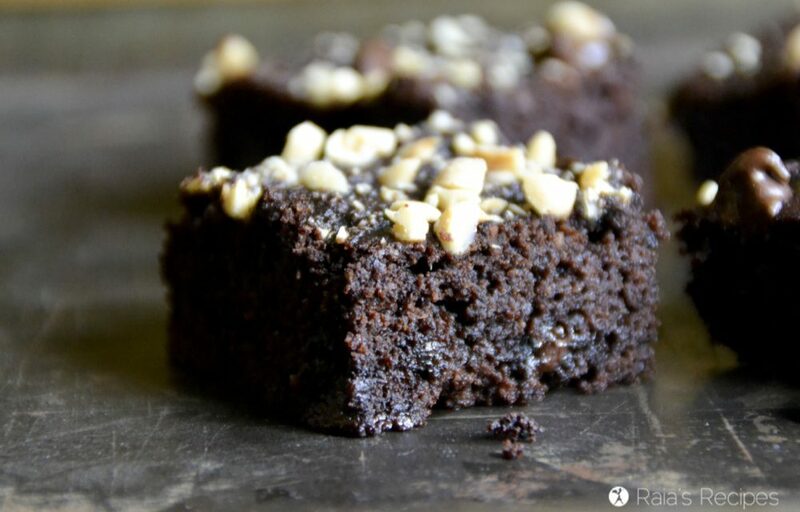 I love fudgy ones (like my black bean brownies), I love peanut butter ones, I love ones with veggies in them, or fruit, I love them for breakfast, I love them as dark as possible, or as blondies. I would eat them in a train, I would eat them on a plane. I would eat them in a house, I would eat them with a mouse. Well… maybe not. I don’t share well with mice. But anyway, you get the idea. I love me some brownies! 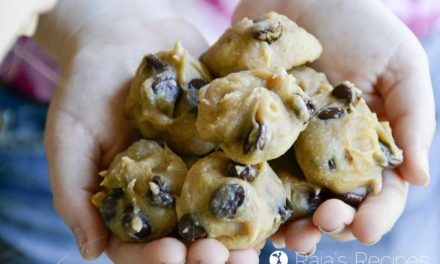 And not only are these ones delicious, they are super easy to make, too. Which, in my expert opinion makes them perfect. What do you think makes for the perfect kind of brownie? Preheat oven to 300 and grease an 8×8 inch baking dish. Whisk together liquid ingredients and cocoa powder. Add in coconut flour, flax meal, and baking soda. Whisk until well combined. Stir in half the chocolate chips and pour batter into prepared pan. Sprinkle top with remaining chocolate chips and chopped nuts. 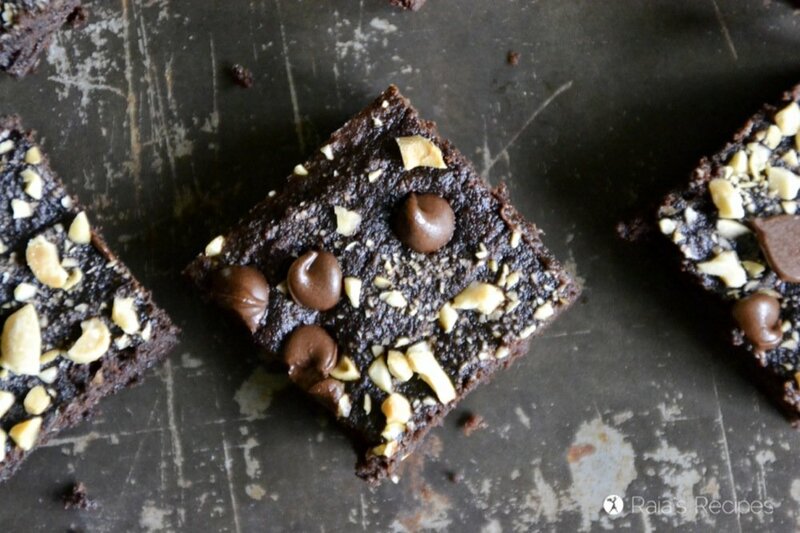 If you’re a fellow brownie-lover, check out these delicious healthy options! You are right! It’s so easy this recipe!! Looks so moist and dense!! I am all for brownies!!! These look so yummy! I hope you got to enjoy lots of them. I have never really had much luck with cooking with coconut flour, but I would love to get it right so I will be giving these a go. It can be tricky, Dannii! These are a super easy way to incorporate it, though. I hope you get a chance to enjoy them! They looks so ooey gooey and moist! Plus…CHOCOLATY! Oh my! So gooey. So dark. I love a good intense chocolate brownie. these are def up my alley. I’m a huge fan of gooey and dark chocolate, too. 😉 They are a life-staple, I think! 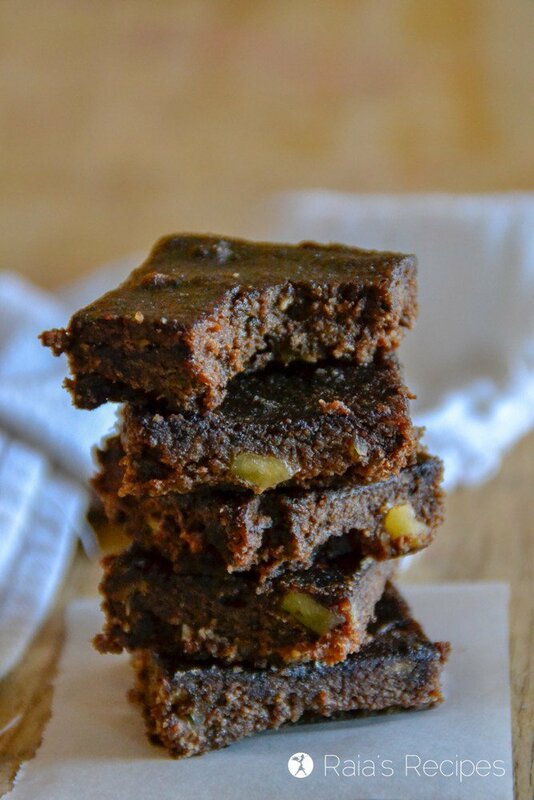 Like the fact that you use apple sauce to cut down on fat & they are brownies! Looking forward! Thank you! I love adding applesauce in my baking. It’s the perfect replacement for oil! These look so luscious! Love it! 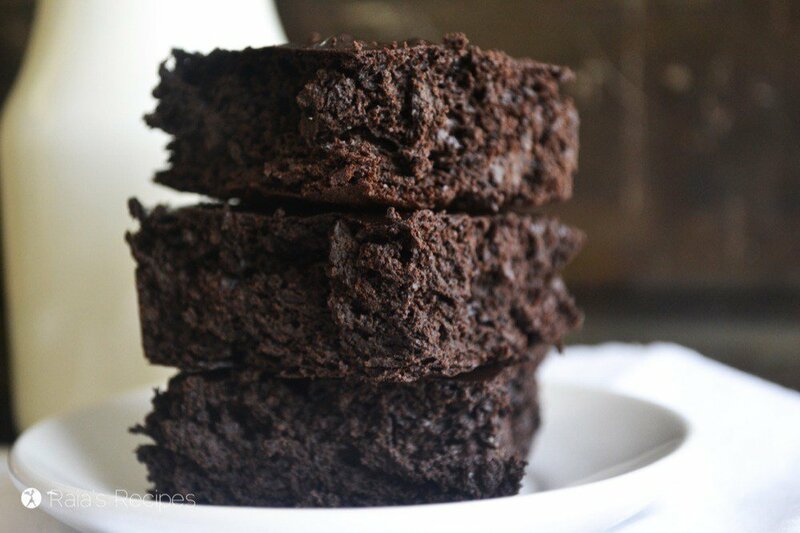 I love how easy this brownie recipe is! Love that these use coconut flour! There are not enough coconut flour recipes, in my opinion. Haha! Yes, coconut flour does make some super delicious foods! Exactly, Evi! 😉 Thanks so much for stopping by! 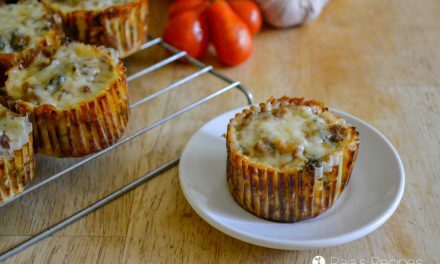 These look so light and airy – super YUM! I love a good brownie and a good coconut flour one is hard to find! I cannot have flax seed on the autoimmune Paleo diet. Can I leave this out of the recipe? Also, chocolate. 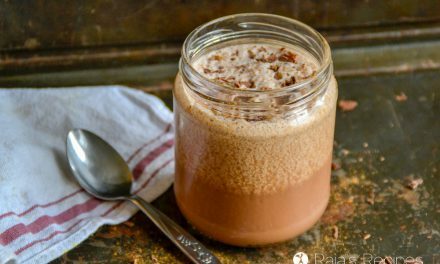 How do I use carob powder in the recipe? How do I roast it? Would love to be able to eat brownies again. I know that coconut flour can be tricky to work with. I prefer to not eat eggs and am wondering if substituting flax eggs (thereby upping the flax content) would work in this recipe or if the eggs are needed for better binding? Thanks for your advice. The brownies look wonderful, and I love that there’s no refined sugar to speak of! The eggs are definitely better for binding when working with coconut. I really haven’t had any success using flax replacers with it. 🙁 But… you might try mashed banana, that works a little better, though I haven’t specifically tried it with this recipe. These Brownies must be out of this world, they will be awesome! Thanks so much for sharing with us at Full Plate Thursday and have a great weekend! Glad to share, Helen! Thank you so much for stopping by! 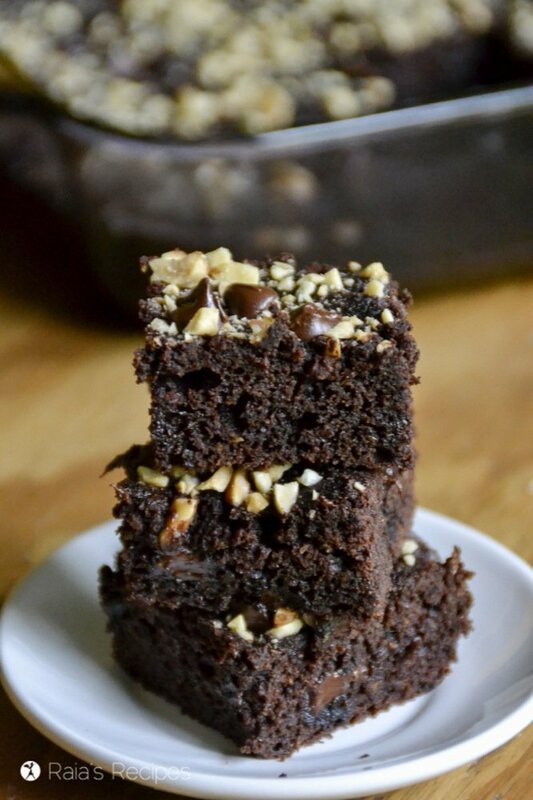 This brownie look yummy and so moist. 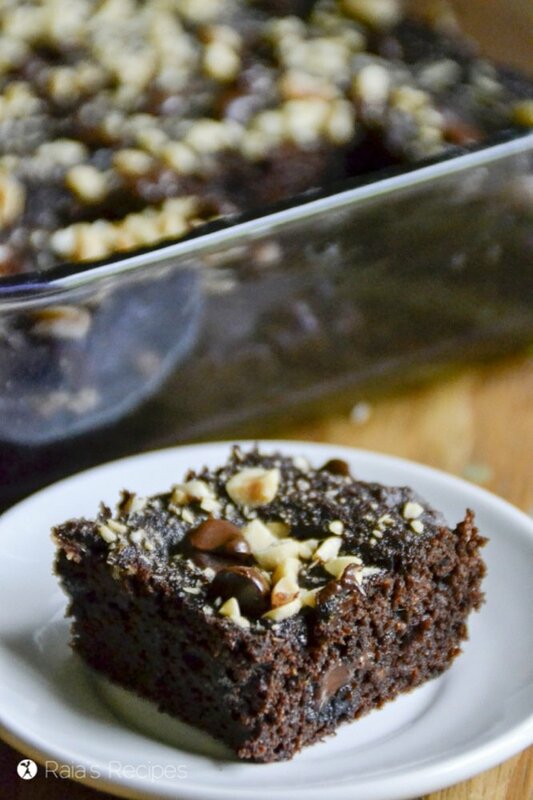 Chocolate is always a welcome snack and I love the healthy ingredients in this recipe. Thanks for sharing on Real Food Fridays. Pinned & tweeted! I can, coconut flour can be a pain to bake with, but once you get it down, it’s amazing! These brownies look sinfully fudgey and chocolately and delicious! I’m all for easy. And these look amazing! 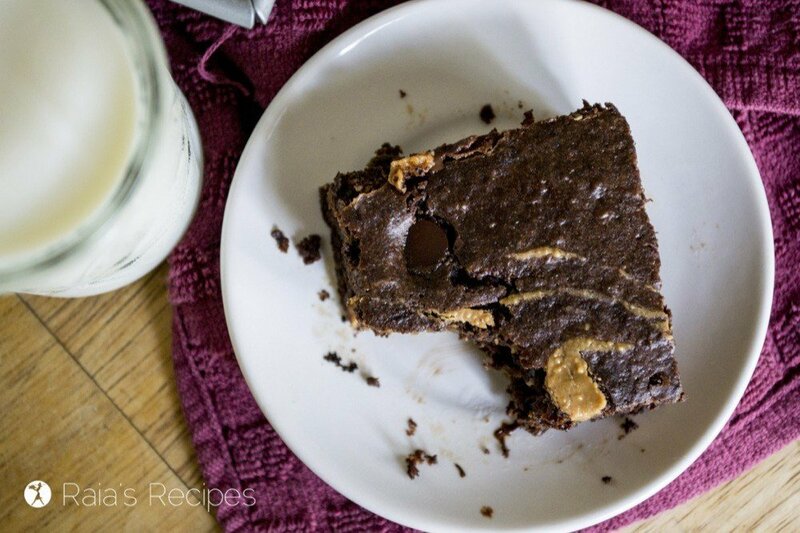 Thank you for sharing these healthy, yummy Coconut Flour Brownies with us at the Healthy, Happy, Green and Natural Party Blog Hop. I’m Pinning and sharing! These sound amazing! Thanks for sharing at Sunday Fitness & Food…Pinned. What a delicious looking recipe! Using coconut flour as a base for brownies is so yummy. Mmmm! This sounds soo good right now. I’m a huge fan of fudgy brownies and have never made them with coconut flour before. I’d love to try some right now but I’m all out (I save & dry the pulp from making milk). Question, though: any particular reason why you do half honey, half maple syrup? And could the flax be omitted? I don’t usually keep that on hand. Oh I could really go for one of these right now! I LOVE brownies! I can always go for a brownie! I love all those nuts and gooey chocolate chips on top! I am drooling. Seriously, I am. These are amazing.